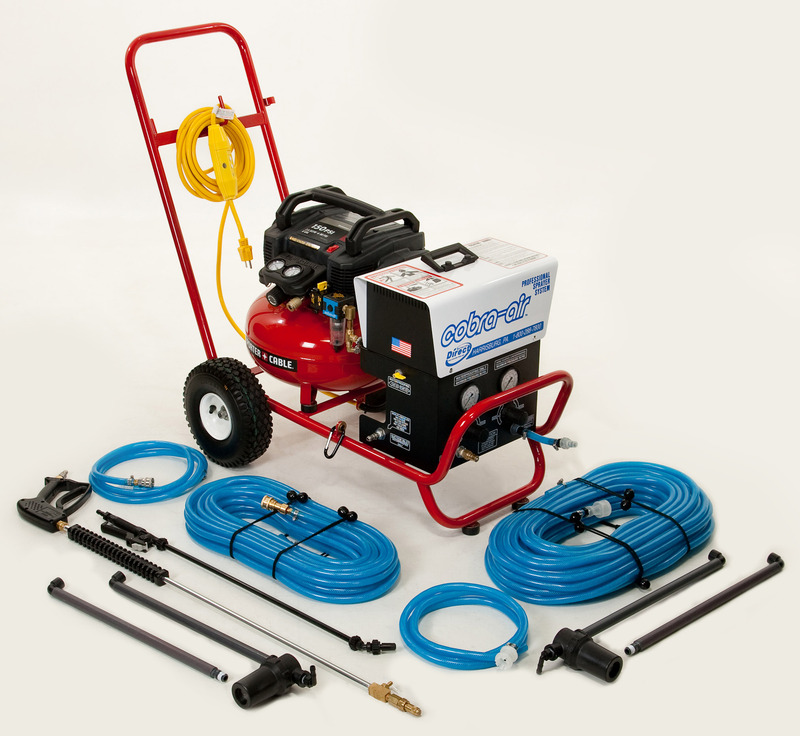 Two Active Pumps: One side has metal wand and quick connects; sprays waterproofing and sealers. The other side has a plastic wand and quick connects; sprays acids and caustics. The best in the Construction Industry!